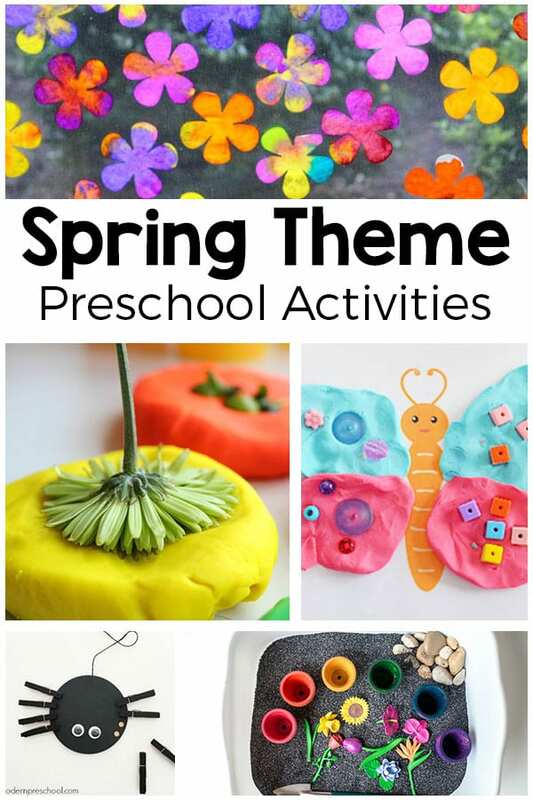 These spring theme activities will have your preschoolers engaged in fun and learning while exploring flowers, plants and bugs. 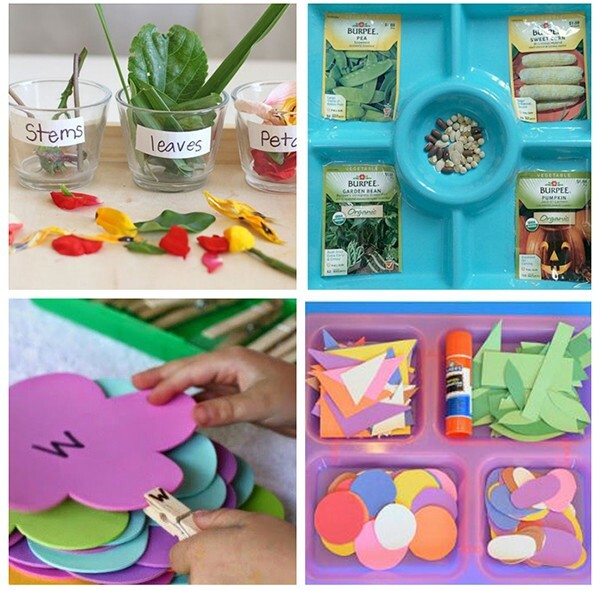 From spring sensory activities to art, literacy, math and science, these are perfect for spring theme lesson plans. 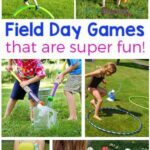 Best of all, the kids are sure to have a blast with these spring favorites! 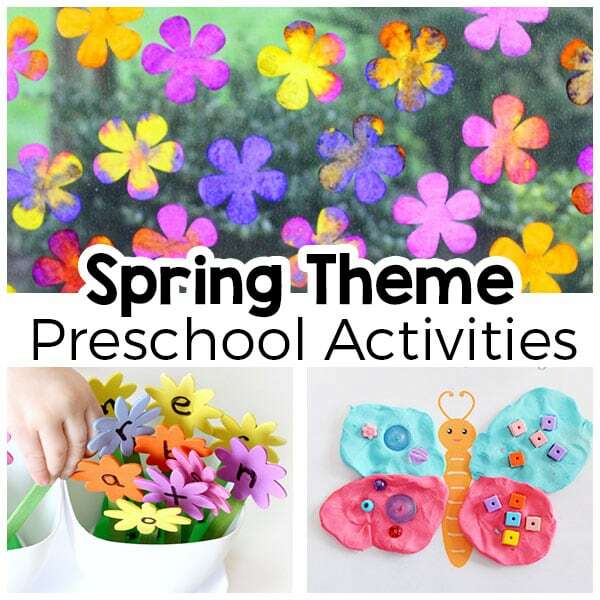 I just love the spring theme for preschool and kindergarten! From the bright colors of blooming flowers to growing plants to exploring bugs and insects. It is just so much fun! 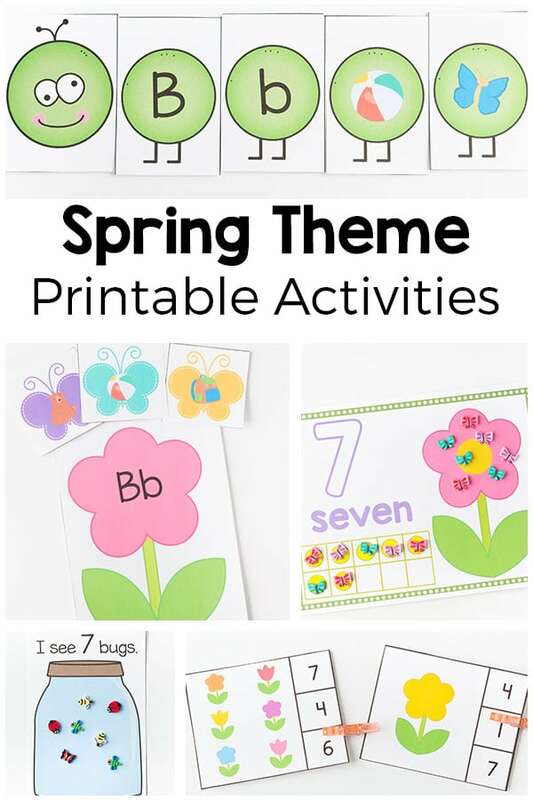 These spring theme activities are my absolute favorites for preschoolers. I have separated them into two parts for easy planning. The first part is flowers and plants and the second part is insects. These printable flower roll and cover mats are perfect for spring! 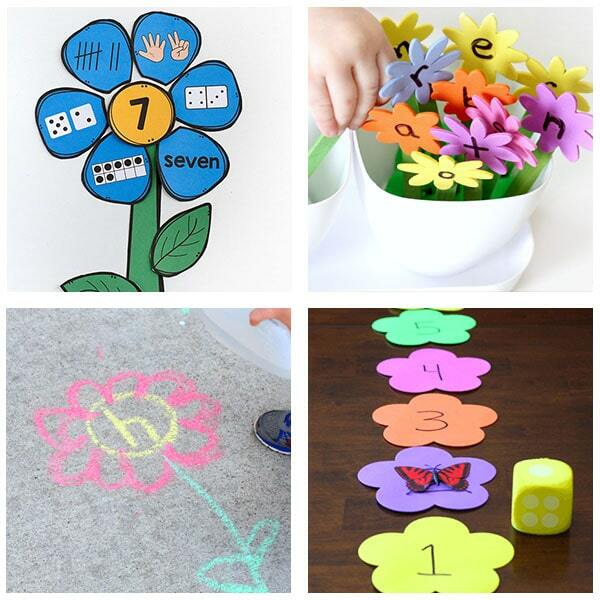 Teach numbers or teach letter recognition, letter sounds and letter formation with fun, hands-on flower activities. 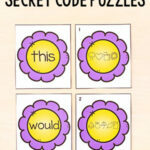 They would be a great addition to your spring math centers or spring literacy centers. You could even use them at home with your kids. This printable flower number matching activity is a hands-on way to explore numbers in a variety of forms. With numbers 1-20 available, this is great for kids at varying levels of ability. My kids loved this planting flowers alphabet activity! It is super easy to set up and can be used again and again, all spring long. Take the fun and learning outdoors, with this water the flowers alphabet activity. It is so much fun! This number line game combines flowers and butterflies to make for lots of number learning fun! Head back outside and go on a flower hunt to learn colors and math skills! This simple plant observation journal is perfect for preschoolers because they don’t need to know how to read to do them. So grow a plant and record its growth for lots of science exploration this spring! 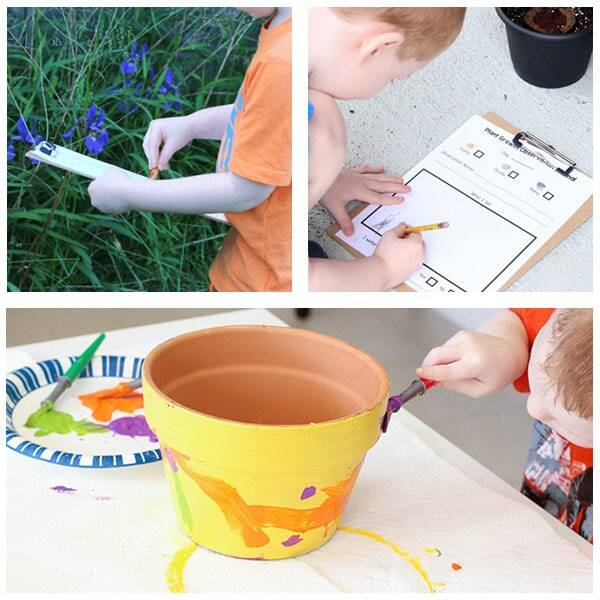 Paint your own flower pot with this simple art activity that your preschoolers will love! These make excellent Mother’s Day gifts too. Exploring nature is one of the wonderful things about being a child. These simple nature sun catchers can be a beautiful display after an afternoon of nature exploring. I love when science can be used to create beautiful art, just like with these gorgeous flowers made with coffee filters! 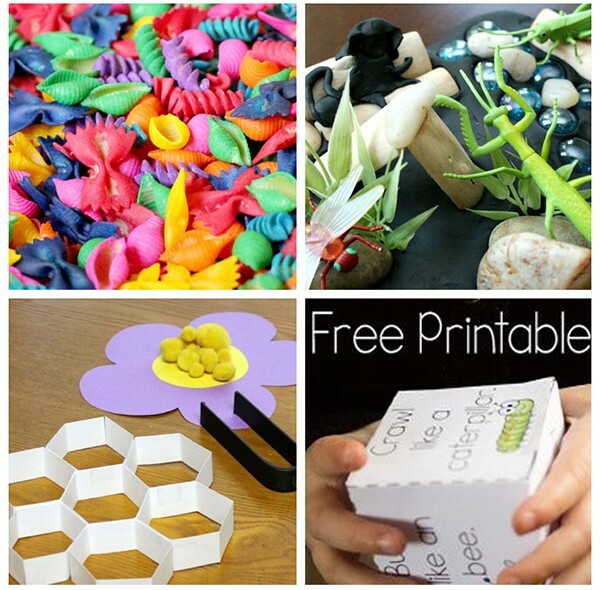 Play dough makes a fantastic canvas in this nature prints activity. All you need is items from nature and play dough. 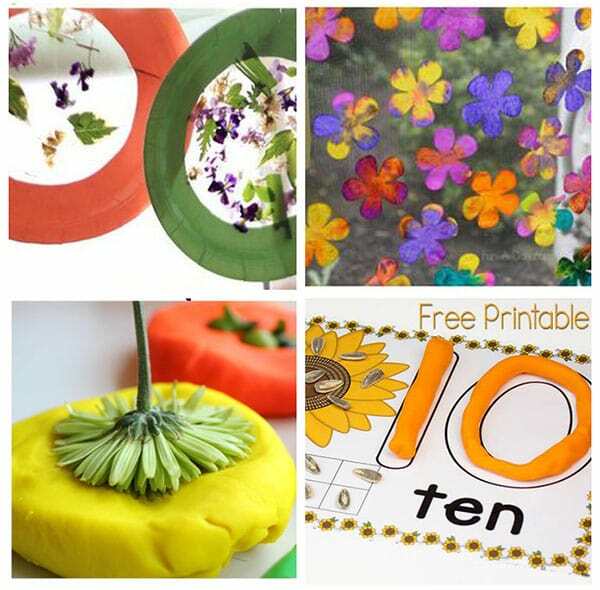 Brighten up your learning activity time with these fun sunflower play dough counting mats for numbers 1-10. 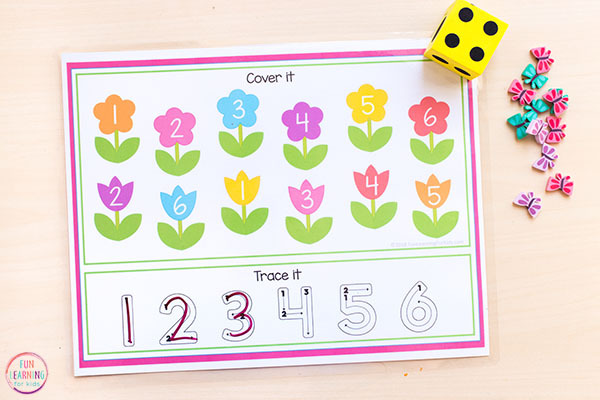 Planting flowers is such a fun outside activity but this spring math game is a spectacular way to bring it inside. Flowers are all different from each other. Different colors, textures and patterns. 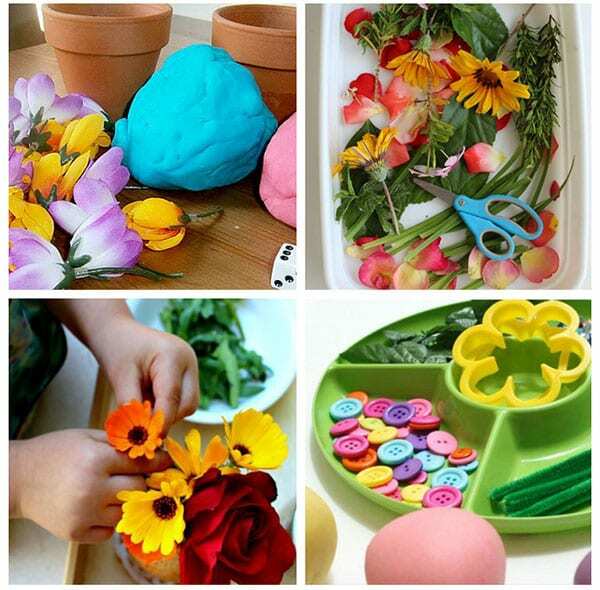 This flower garden play dough enables kids to make their own flowers that are flooded with their personality. Scissor practice can be extra fun when the subject being cut is straight from nature with this nature cutting tray. Fine motor skills are accentuated in this fun flower arranging activity. Kids can practice with scissors and play with the colorful flowers. Peas and carrots are not only delicious to eat but fun to garden. This sensory bin may not be edible but it’s colorful and fun! The colorful flower pots in this adorable garden sensory bin makes this activity so bright and beautiful. Simple kids crafts are the best for seasons. This paper plate flower craft is easy and adds in scissor practice is a super creative way. This garden spring sensory play is almost as natural as it comes, since it uses real carrots and dirt! Learning about the parts of a flower becomes fun with this parts of a flower sorting activity. Kids can separate the various parts of a flower and see them separated. Each type of seed has different characteristics from another. 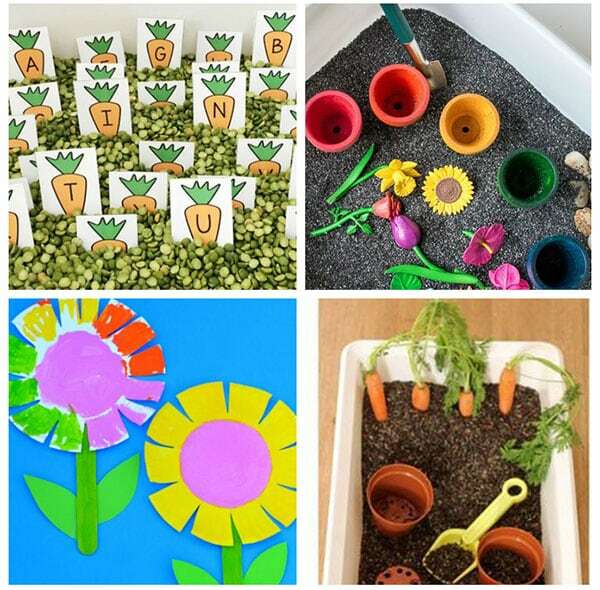 This seed sorting tray is a perfect fine motor activity to see the difference. This spring ABC matching activity is an easy to set up activity to help kids with letter recognition. This invitation to create a flower garden is perfect way to incorporate the love of a garden and creative thinking! A child learning to spell his name is an iconic moment. 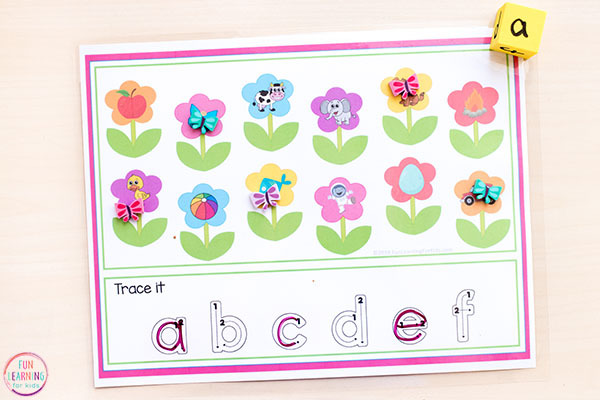 This flower garden activity can help kids learn to recognize and spell their name. Fine motor skills are critical for kids to develop and this spring flower tray will help this development. With just a few supplies (that can be found at the dollar store) this fun activity will keep kids busy for hours! 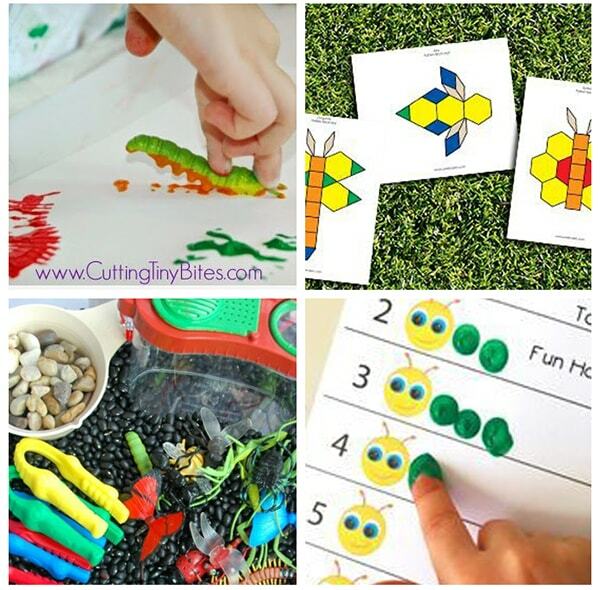 These bug counting cards and counting game are super simple to set up and so much fun! Just print, cut in half and play! 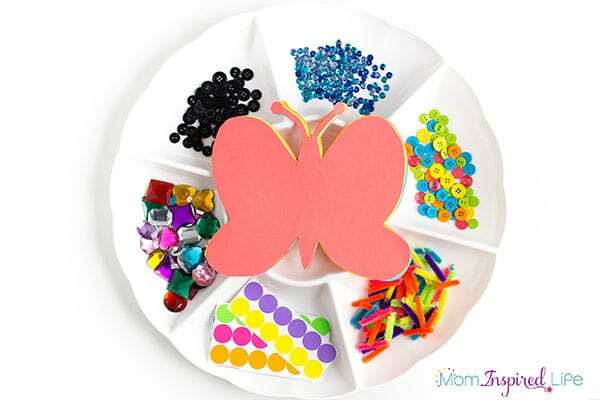 This butterfly collage art invitation to create is one of my kids’ favorites! It is the kind of activity they go back to again and again. Grab the play dough and set up this invitation to make a caterpillar. 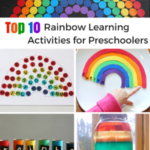 This activity goes perfectly with the book, the very hungry caterpillar! Kids will learn colors, shapes and practice sorting with this large-scale color sorting caterpillar activity. Your kids will think it’s awesome! 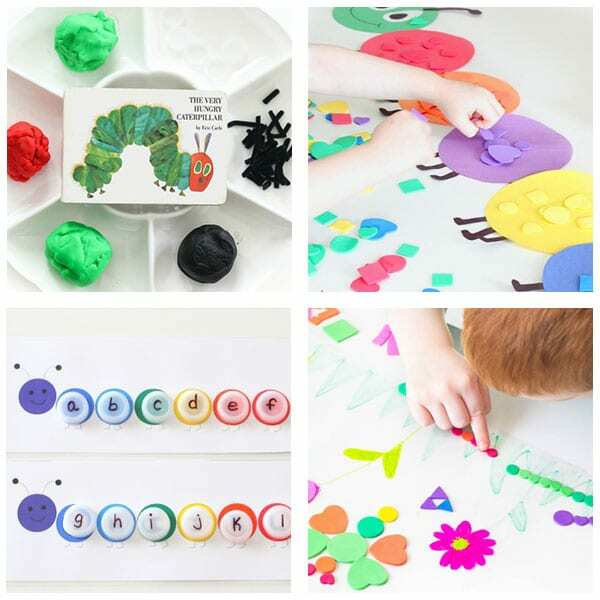 Put those water bottle lids to good use and explore letters with this letter matching caterpillar. 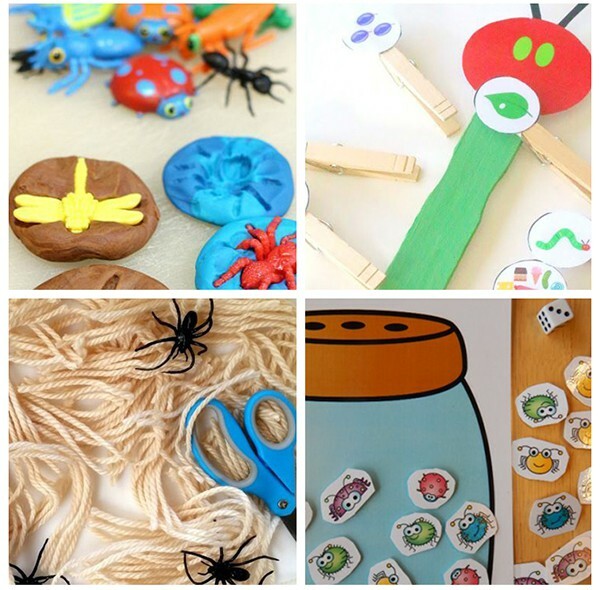 Your kids will love making shape bugs with this fun sticky wall activity. Some of us like them, some of us hate them but this spider busy bag is perfect for kids who need or like fine motor practice! 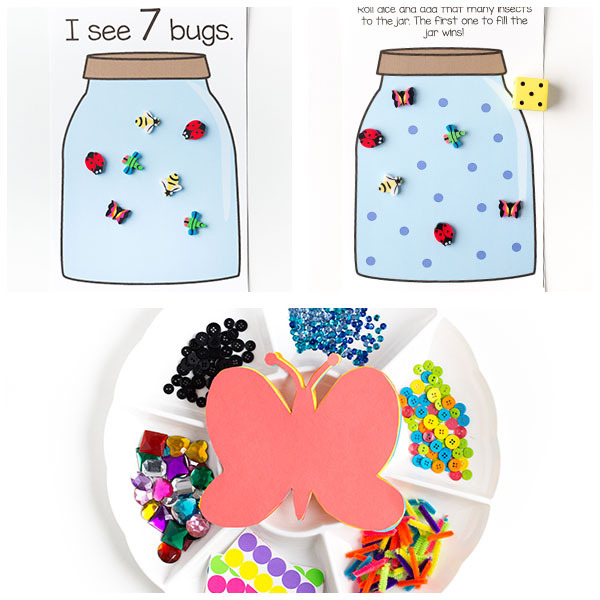 This free printable game board will make collecting bugs AND math fun for preschoolers! Play dough is always a win and these bug play dough mats are so fun! They give kids a direction to follow while still being super creative. This play dough invitation to create is an exciting way to teach kids about ants in a hands on and interactive way. A butterfly’s life is miraculous. This butterfly life cycle sensory bin is such an interactive way to teach kids all about it. 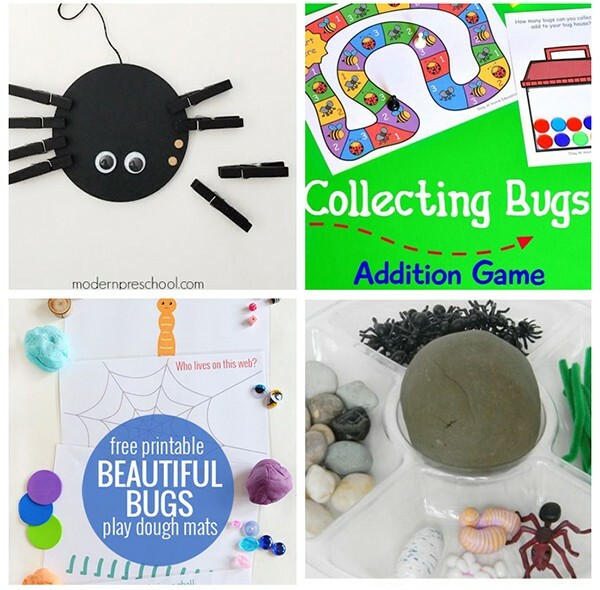 This bug play dough invitation to play encourages creativity and use of imagination for kids. It looks so fun with all the different types of bugs! This pollen transfer activity is adorable and is a super fun way to incorporate fine motor skills and learning about pollen. This printable die is just the beginning of the active fun your kids will have! 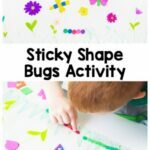 This insect gross motor activity is a fantastic indoor or outdoor activity! 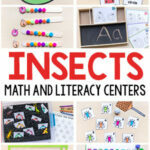 Kids will love math with this super colorful bug jar activity! 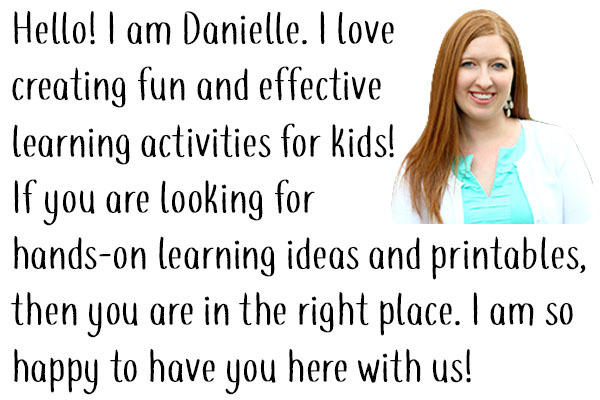 It is a simple, easy to set up activity that will keep kids having fun and learning. Butterflies are such a beautiful part of any garden. In this butterfly garden invitation to create, play dough is a fantastic way for kids to recreate this! It’s amazing to see what kids can create when they are given the right tools. 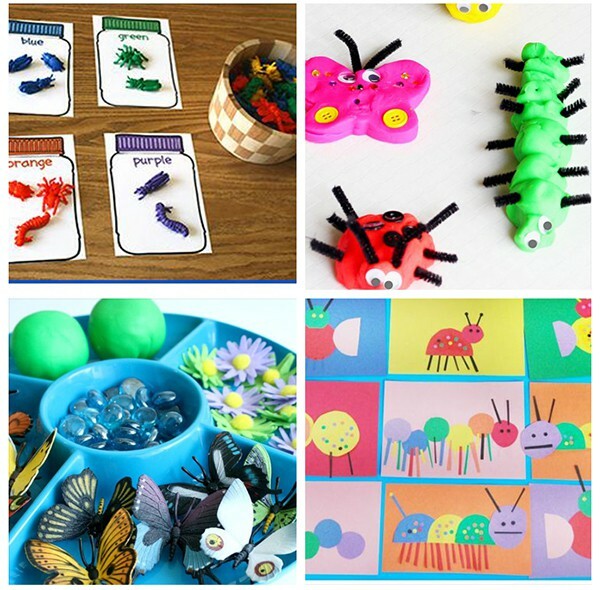 Set out various pieces for your kids to do an invitation to make insects with play dough and witness the surprise! 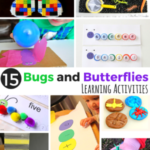 We’ve seen invitation to create with play dough but with this build a bug activity kids can use their creativity to make their own paper bugs. Create magical artwork with bugs and paint with this creepy crawly painting. These fun bug pattern block mats are a fantastic entertaining activity for kids that include fine motor skills and critical thinking. This bug sensory bin are a simple way to introduce different elements of insects and how they live. Counting has never been so fun as when done with this spring counting activity. Using fingers as a tool your kids will be having fun counting in no time! The Very Hungry Caterpillar is a classic caterpillar story that most kids know. This sequencing activity is easy to make and fun to play with. Another classic story is The Very Busy Spider. This extension activity is scissor practice at it’s finest. These bug fossils are hand created with children’s hands and play dough, what a great lesson of the past! This cute bug in a jar activity is fun and free printable counting activity that kids will enjoy. It feels like a game so they’ll never know they are practicing counting! I hope you now have an awesome plan for your spring theme this year! It is going to be great!